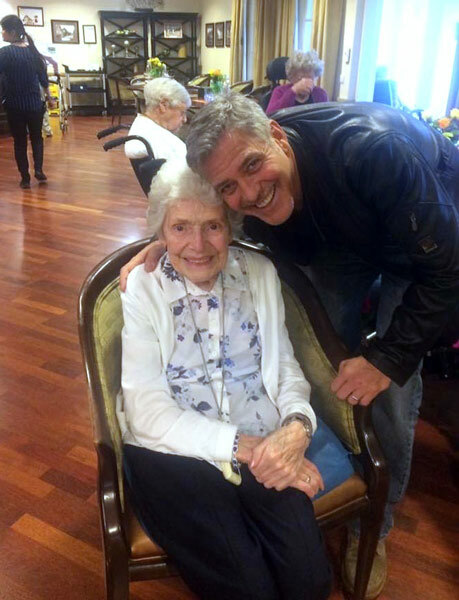 LONDON -- Actor George Clooney has startled an 87-year-old fan in Britain by showing up at her assisted living facility with flowers and a card to wish her a happy birthday. The 55-year-old popped in for a chat and a picture with admirer Pat Adams on Sunday at the Sunrise of Sonning Retirement and Assisted Living Facility in Reading. Linda Jones, a worker there, posted a picture of herself and the beaming pair on Facebook. 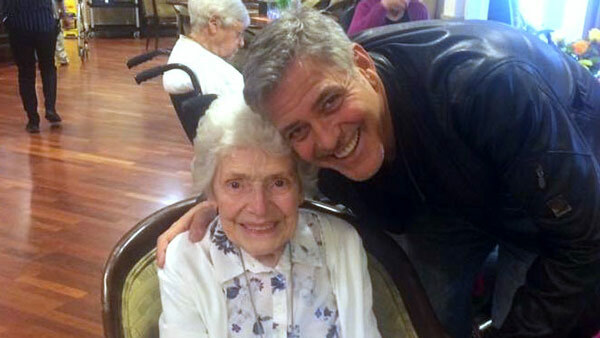 Jones wrote: "The lady in the picture, loves George Clooney and mentions everyday how she would love him to meet him, especially as he lives so near to where I work." A letter was sent to Clooney asking if he could make a "dream to come true." Clooney owns a home near the facility in Berkshire.